Sarah grew up in the Pacific Northwest and graduated from UW in 2008 with a degree in psychology. She worked in healthcare for 7 years in Washington and on the island of Maui, Hawaii before going back to get her Masters of Physician Assistant Studies. She graduated from Concordia University Wisconsin in 2015 and began working as a Physician Assistant at Harborview Medical Center in Neurological Surgery. There she worked with both spinal and head trauma victims of all ages, and also worked with complex cranial and spinal tumors as well as vascular malformations of many kinds. Her passion for neurological surgery grew along with the patient-provider relationships she forged. 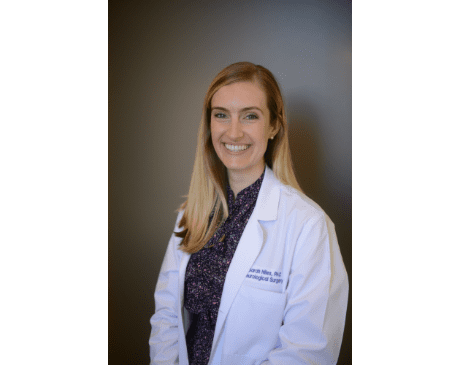 Sarah joined Seattle Neurosciences in 2017. In her free time, Sarah enjoys spending time with her family and friends, hiking, swimming, surfing, snow-skiing, mountain biking, and watching movies with a big bag of popcorn.